If you are on the way of planning Family Day week-end for this year, we highly recommend to attend Kids-Fest at the International Centre in Mississauga. 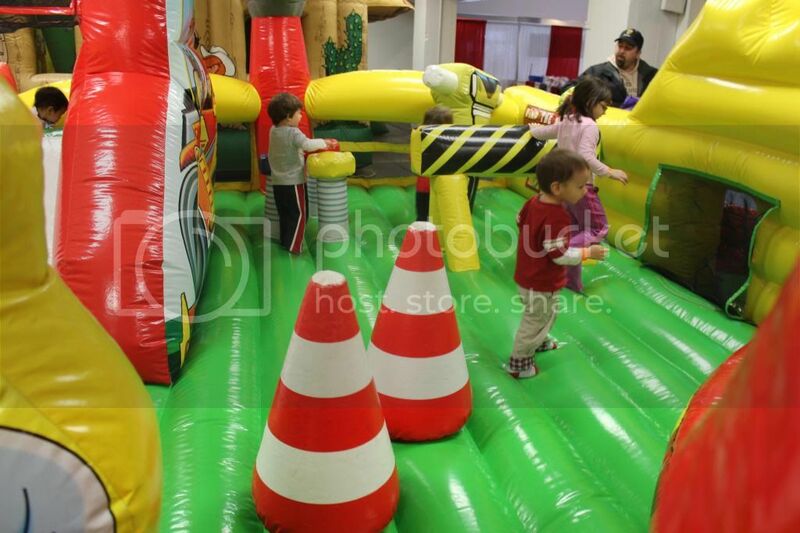 Kids-Fest is Canada's Largest Indoor Inflatable Show, designed for kids under 12, invites to bounce, laugh, scream and run, shop and play, sing and dance. 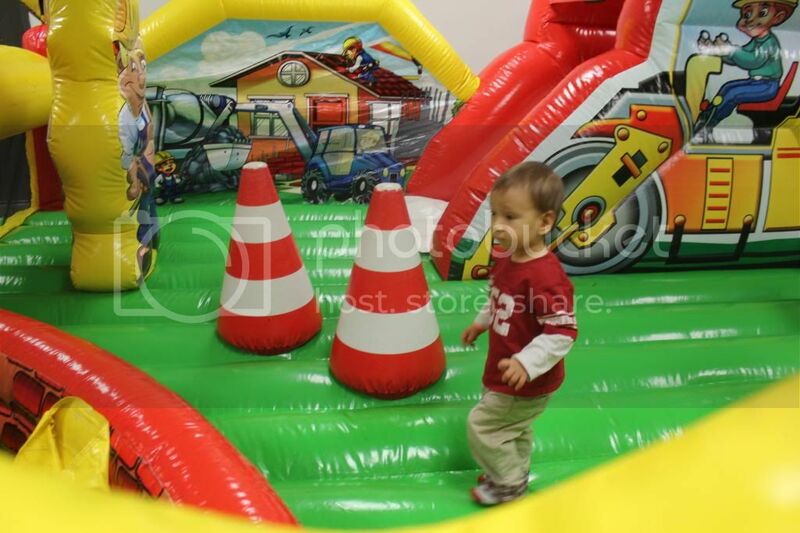 This indoor playground presents over 30 Inflatable Rides different shapes and themes. So be ready to jump, crawl and go through the obstacles in Jungle Run or Thunder Force; slide down Cars Slide or El Paso Slide and take as many rides as you like. 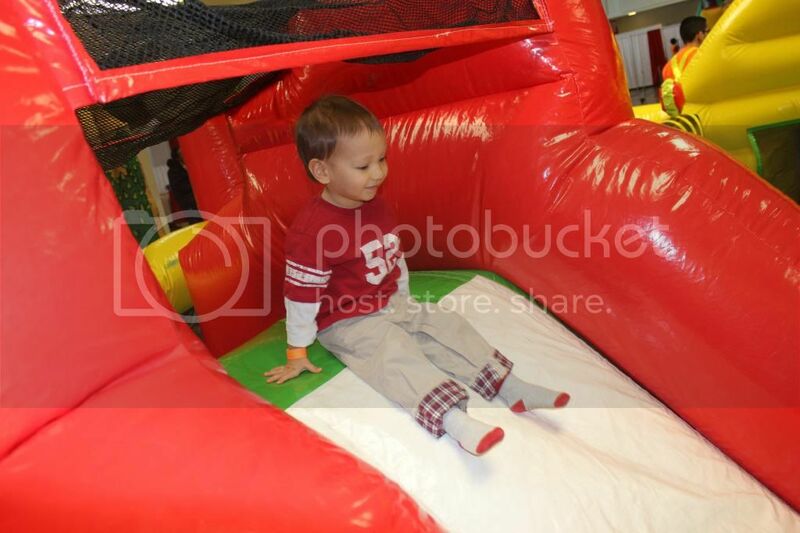 If you have kiddos too young to take inflatable rides and games there will be a whole Kids Town and Little Airport to spend time in, explore a medium playhouse, take a small slide or ride cars. There also will be stage shows, pony rides and face painting plus FREE Children’s Craft Area by the Made By Hand Show. Your kids can paint their hands or feet and make a “Made By Hand” art! Do not forget to visit Market Place; there is always something for the whole family. We attended Kids-Fest last year and it was a blast. 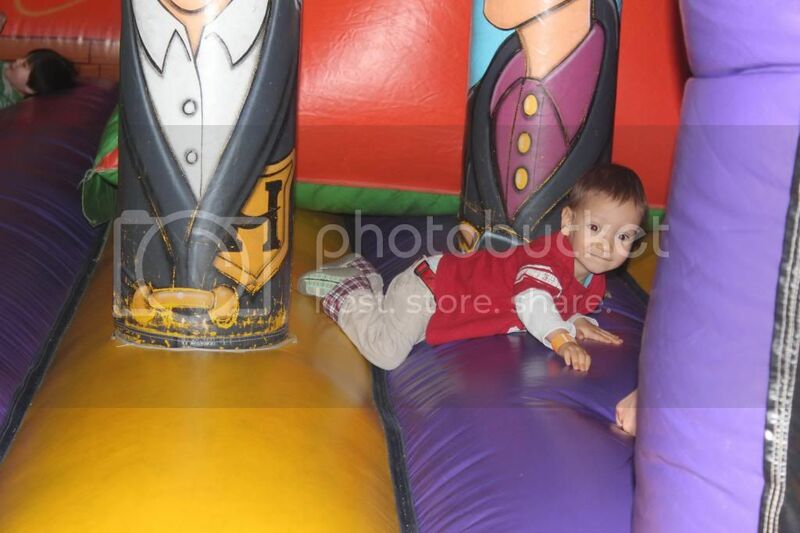 Here is our post about Kids-Fest 2012. My boy was about 2 and we tried lots of rides because there were so many to choose from and according to his age. Teddy was so happy jumping, climbing, and crawling. Another exciting activities for Teddy were singing and dancing with Suzie Sunshine, she was performing her own songs and all kids were so involved. And finally we met the Lorax that day there, this charming orange creature. He became Teddy's friend and they spent some time together talking about trees I think. This year Kids-Fest welcomes DESPICABLE ME 2, so please stop by for Meet-N- Greet. The movie is coming out in the summer. 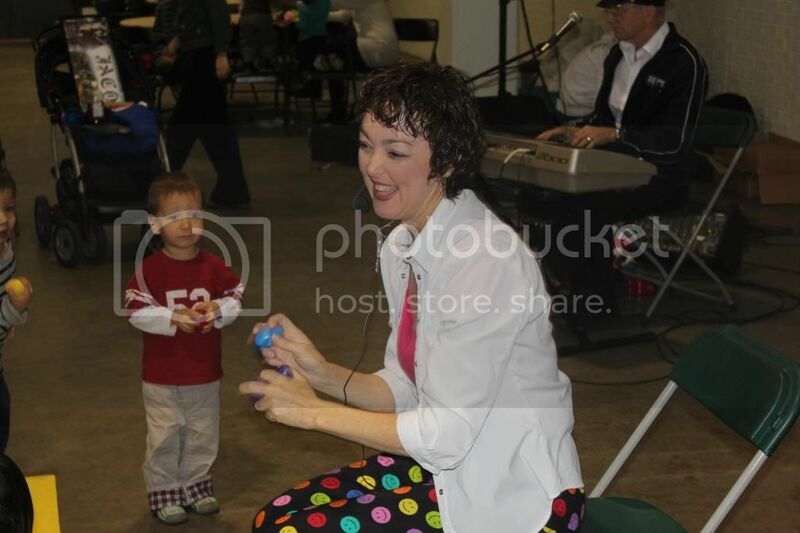 Kids-Fest opens its doors on February 17, 18, 2013 at International Centre - 6900 Airport Road, Mississauga. Giveaway time: one lucky Teddy Out-Ready reader is going to win a family 4 pack of tickets to Toronto Kids-Fest on Sunday only February 17 at the International Centre in Mississauga. Giveaway is open to GTA residents only and ends February 3, 2013. To get your chance to win, simply fill out the Rafflecopter form below and Good Luck!